The number of foreign tourists visiting Iran has increased by 31 percent during Iranian New Year (Nowruz) 2019 according to Vali Teymouri deputy head of Iran’s Cultural Heritage, Handcraft and Tourism Organization. 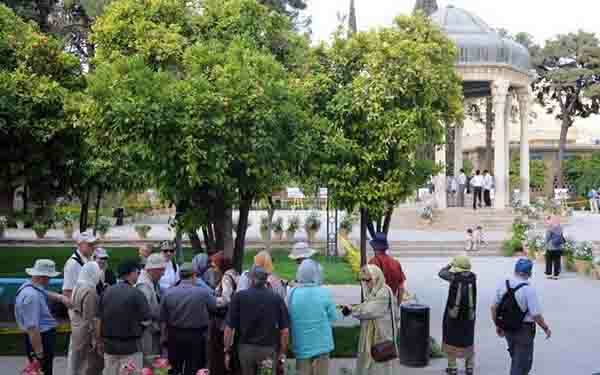 Teymouri told IRNA news agency that more than 64 thousand foreign tourists visited Iran in the first week of Nowruz. After US, UK, France, China, Russia and Germany signed the Joint Comprehensive Plan of Action commonly known as the Nuclear deal with Iran in 2015, the international sanctions on Iran were lifted in exchange for the country limiting its sensitive nuclear activities. As a result, there was also a boom in the tourism industry. New hotels and restaurants were built and Tehran saw new opportunities in tourism. However, it did not last long. On May 8, 2018, the United States withdrew from the Joint Comprehensive Plan of Action (JCPOA) and unilaterally reimposed economic sanctions on Iran. Two months later, British Airways, Air France, and KLM announced an end to direct flights to Tehran, citing a lack of interest in the route. Iranian Rial has lost its value considerably and in 2018 it fell to its lowest rate in 35 years. At the same time, the departure tax increased for leaving the country. These developments have pressured Iranians who got used to traveling outside for holidays. At the same time, the number of Iranian tourists traveling to foreign countries has decreased by 34 percent, Vali Teymouri said. Iran’s tourism industry is now at risk. A four-season country, Iran could potentially be a popular destination for foreign tourists. This country is home to 23 UNESCO World Heritage Sites.